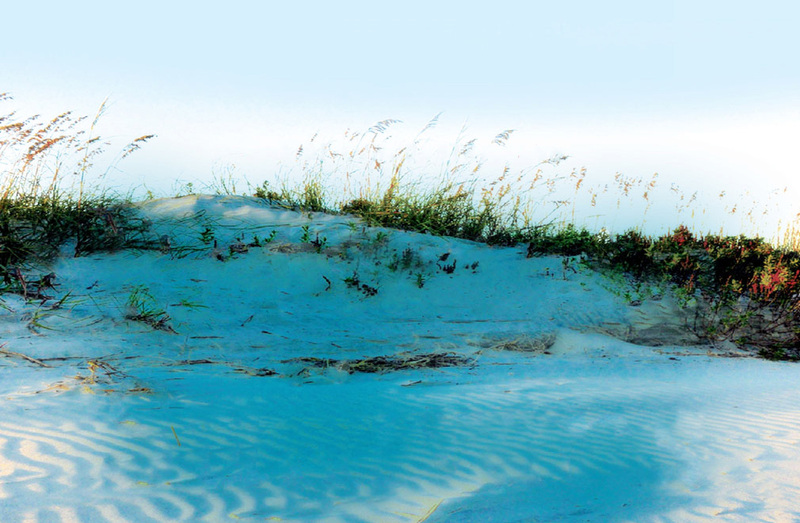 Dorothea Benton Frank returns to the enchanted landscape of South Carolina's Lowcountry made famous in her beloved New York Times bestseller Sullivans Island to tell the story of the next generation of Hamiltons and Hayes. H er plane circled the Lowcountry. Acres upon acres of live oaks stood beneath them, guardians festooned in sheets of breezy Spanish moss. They passed over the powerful waters of the Wando, Cooper and Ashley Rivers and hundreds of tiny rippling tributaries that sluiced their way in tendrils toward the Atlantic Ocean. It was so beautiful, all the shimmering blue water, that seemed to be scattered with shards of crystals and diamonds. Beth's heart tightened. Every last passenger stared out through their windows at the landscape below. Whether you were away from the Lowcountry for a week or for years, it was impossible to remember how gorgeous it was. It never changed and everyone depended on that. Seeing it again was like seeing it for the first time  hypnotic. The small jet finally touched down on the steaming tarmac at Charleston's airport and after a few braking lurches it rolled to a stop at the terminal. When the flight attendant opened the cabin door humidity poured in, blanketing the cabin in a great whoosh like an invisible gas. The air was heavy, weighted by the stench of jet fuel diluted with salt. Beth's miniature Yorkshire terrier, Lola seemed to understand everything she said. If she spoke to her in Swahili she would look at her with those licorice eyes of hers, raise her eyebrows and smile. Yes, her dog smiled but not just then. Lola whimpered and began to squirm. Beth stretched her finger through the netting of her dog's carrier to console her with a tiny massage. All five pounds of Lola settled against her as they slowly made their way with the restless passengers, across the muggy jet way and into the sorrowful, weak air conditioning of the terminal. She hoped Lola wasn't going to start wheezing. Could a mother love a child more than Beth Hayes loved her dog? She doubted it. The climate had changed over the years. Global warming was obvious and in Charleston, the weather was practically tropical. Beth had decided that it was too uncomfortable to consider anything except escape into the jungle or a total surrender to the ruling party. Beth had chosen surrender and was there to begin serving her one-year sentence in the Lowcountry, house sitting the family's grand dame on Sullivans Island. The Island Gamble. The family's chateau stood in defiance of her age and history and she reigned over them like Elizabeth I, the Virgin Queen. Beth could not envision England's history without Elizabeth I any more than she could dream of Sullivans Island without that particular house as center stage for the disjointed hauntings of her sleeping hours. All of her dreams were acted out on Sullivans Island and at the Island Gamble. In the rooms. On the porch. In the yard looking back. Always, always there. They used the term "chateau" loosely even humorously, but during the days and nights of their lives, the Island Gamble was where any and everything of significance for generations had been told around her tables or had been revealed in the confessional of her front porch. Lives were dissected and discussed deep into the night until aunts, uncles, and especially children, exhausted from the heat and laughter, nodded off in their rockers or hammocks. Their aspirations, broken hearts, and victories were all recorded for posterity in the family's collective memory, the details rearranged and embellished as time went on to make for better storytelling. The house knew everything about them and being there made them believe that they were safe from the outside world. In their case, telling family tales was what they seemed to do best. They would laugh and say that if there had been an Olympic event for working a jaw, the walls of the Island Gamble would have buckled from the burden of gold medals. Truly, the family was a very sentimental lot and their point of view was that the ability to poke fun at their own foibles was what saved them from despair on many a day. Frank (Sullivan's Island) creates a world in which aspiring writer Beth Hayes, whose chirpy internal monologues and quiet uncertainties make her easily endearing, is as much a character as the house she lives in. After graduating from college in Boston, Beth returns to the South to spend a year house-sitting her family's home, Island Gamble, while her mother, Susan, visits Paris. Frank's portrayal of a large and complicated family is humorous and precise: there's Susan, adoring and kind; Aunt Maggie, a stickler for manners; twin aunts Sophie and Allison, who run an exercise-and-vitamin empire; and uncles Timmy and Henry, the latter of whom has ties to Beth's trust fund. Frank's lovable characters occasionally stymie her pace; there's almost no room left for Beth's friends or her love affairs with sleazy Max Mitchell and cherubic Woody Morrison, though these become important later on. Frank is frequently funny, and she weaves in a dark undercurrent that incites some surprising late-book developments. Tight storytelling, winsomely oddball characters and touches of Southern magic make this a winner. 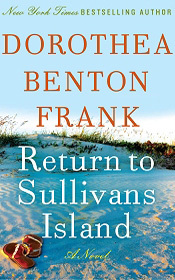 Why Write Return to Sullivans Island?